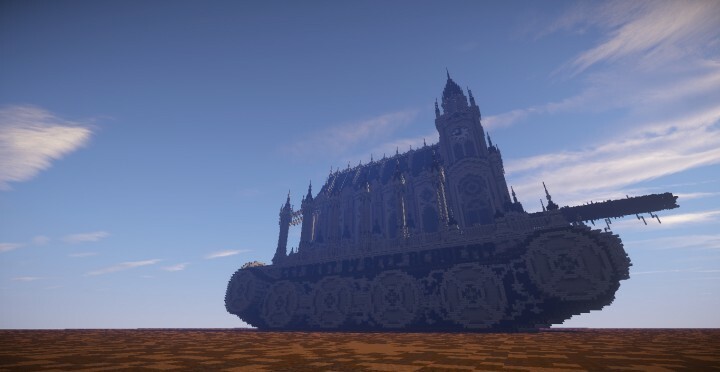 This is a tank with a gothic church on it. 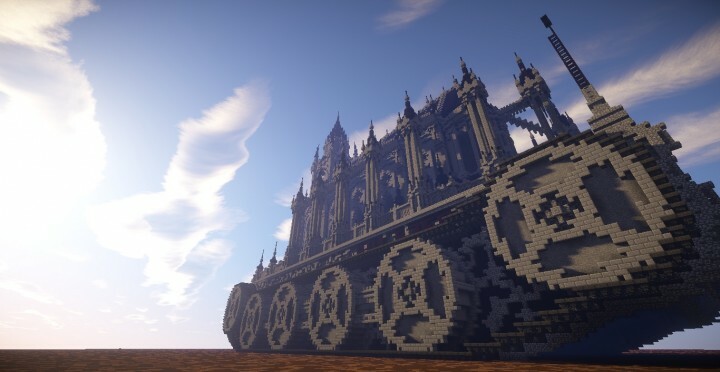 Dont ask me why : my bro Skrill said :" oh you could build a tank with a gothic church on it". 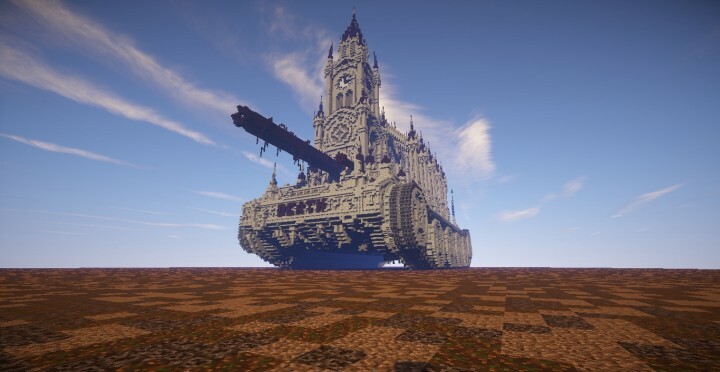 10/10 Would ride into battle. 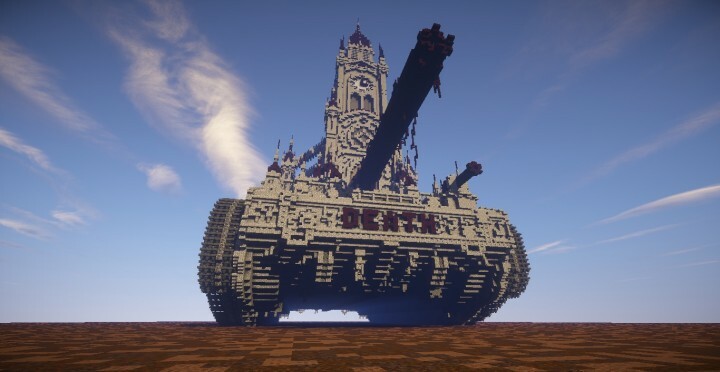 10/10, Seems like you're using german tanks as its chassis if i'm not wrong. Haha so random and awesome! Good job keep up the good work! This looks great! Awesome job, Whisper! Did you use w/e , mcedit etc? This looks awesome haha and also original! 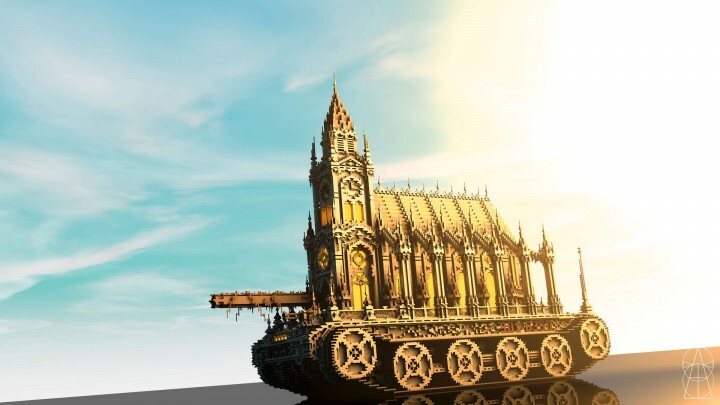 The church is gonna blast you with some Jesus, whilst praising love and friendship, as it crushes everything that opposes its progress, together with any innocents who get in the way. This is both cool, yet oddly specific .-. I really love these kind of concepts. If this church is showing up and asking if I would like to pray I got the feeling if I refuse I get some divine shots on me. It's like mashing two fantastic mega projects together. But personally I'd like them seperately. 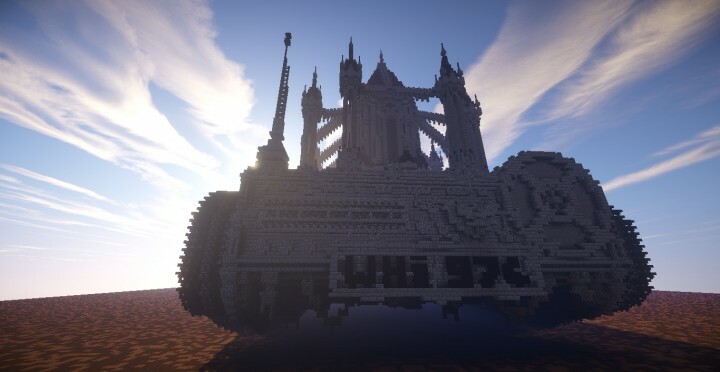 it has a number plate XD imagen when the cannon goes of! the noise+recoil damn, and the size of the shells!!! 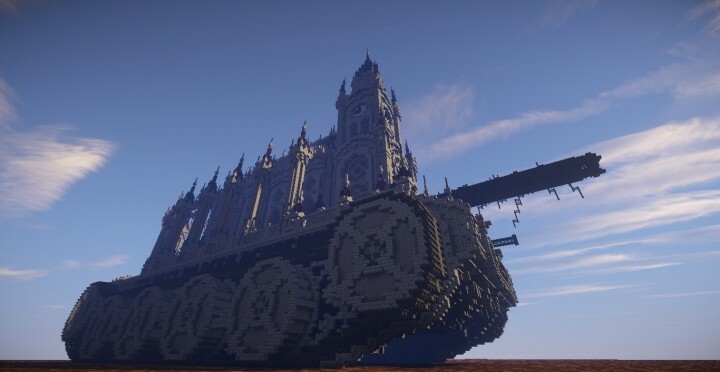 In all seriousness though, awesome build. Is this out of the randomness of the mind or is this supposed to allude to something? Freaking awesome. 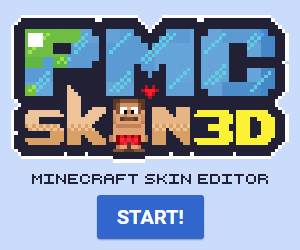 I saw it and made my boyfriend Filmjolk look at it and he was like that'd look good in my texture pack lol. Lovely though! Lol, weird idea, looks awesome though! 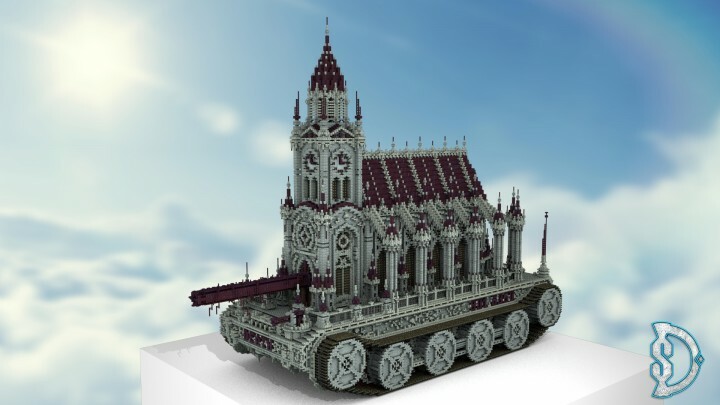 Lol putting religion on wheels of war. Interesting. I am amazed by the magnitude of this project.Excellent work! Haha very different, I like it!